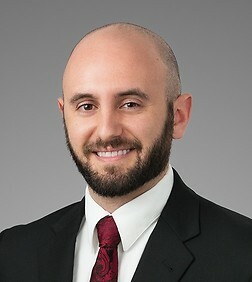 Ken Contrata is an associate in the Corporate Practice Group in the firm's New York office. Ken focuses his practice on private equity, mergers and acquisitions, and venture capital. His practice involves a full range of corporate transactions and representing startup companies in their formation and day-to-day legal needs. Ken advises emerging growth companies throughout their corporate lifecycle by supporting their commercial and legal needs from formation to exit. He specializes in working closely with companies on a diverse range of critical transactions, including seed, venture and growth equity financings, mergers and acquisitions, and corporate governance. His representations range across a variety of industries, including digital media, personal finance, insurance, healthcare and pharmaceutical, food, manufacturing, fashion and beauty, and mobile.